PASADENA, Calif., Jan. 30, 2019 /Christian Newswire/ -- A significant leadership change has been made at one of the modern missions world's most quietly influential groups, with the appointment of Dr. Kevin Higgins as general director of Frontier Ventures (www.frontierventures.org). The ministry has a long history of promoting critical thought and creative action in missions efforts among the world's unreached people groups. Higgins steps into the new role from being part of the three-person Office of the General Director team that has overseen the work at Frontier Ventures, founded more than 40 years ago as the U.S. Center for World Missions by the late missionary statesman Dr. Ralph Winter. 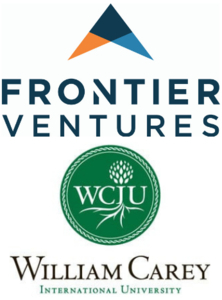 While leading Frontier Ventures' efforts—including the innovative "launch lab," the Joshua Project's tracking of the progress of reaching the least reached; galvanizing prayer globally through the Global Prayer Digest; publishing "Mission Frontiers" magazine; and more—Higgins will also continue to serve as president of its sister organization, William Carey International University (WCIU, www.wciu.edu). Founded in 1997, WCIU offers an MA in International Development through a robust distance-learning experience to equip men and women to address root issues of human problems among the world's most neglected peoples. Hundreds of students from around the world have completed studies through the university, where Higgins was named president in 2017. "We are delighted that Kevin has agreed to take on this new role," said Greg Parsons, chairman of the Frontier Ventures board. "We believe this transition will allow us to further improve our effectiveness and also maximize coordination and cooperation between Frontier Ventures and William Carey International University, enhancing each of our 'Great Commission' endeavors." Higgins, age 60, has a long history in missions leadership. Prior to joining WCIU, he served in two Muslim nations in South Asia, helping initiate a movement of people to Christ in more than a dozen language groups. He was international director of Global Teams from 2000 to 2017, and continues to serve as the organization's Asia region Muslim ministries coordinator. Married with three grown daughters, Higgins earned his PhD in translation from Fuller's School of Intercultural Studies in 2013. "It's an honor to be asked to assume this new role," Higgins said of his Frontier Ventures appointment. "Frontier Ventures has quietly played a powerful and significant role in educating, encouraging and equipping the church in regards to seeing Jesus proclaimed among those with the least opportunity to understand and experience the good news of his life and message. I am pleased to have this opportunity to be part of ensuring that contribution continues." Other members of the former Office of the General Director will continue in different leadership roles at Frontier Ventures. Fran Patt has been named director of operations, and will oversee Frontier Ventures' work in the Northeast U.S., while Chong Kim will oversee the group's religious order expression and is helping with the launch of Frontier Venture's emerging SE Asia Hub. Though Higgins' service as president of each organization is intended to maximize partnership and collaboration, the two will continue as distinct entities with separate boards and leadership teams. Frontier Ventures Based in Pasadena, Calif., Frontier Ventures (www.frontierventures.org) promotes the cause of mission among the world's unreached people groups through research, education, and mobilization. Founded in 1976 as the U.S. Center for World Mission by the late missionary statesman, Dr. Ralph D. Winter, its subsidiary ministries include the acclaimed Perspectives on the World Christian Movement course. Named after William Carey, a pioneer British missionary to India in the late 1700s and early 1800s, WCIU (www.wciu.edu) was established in 1977 at the former U.S. Center for World Mission to equip international cross-cultural workers for overseas service. The distance-learning school has equipped hundreds of students.